The American Museum of Natural History on Monday said that it would no longer host an event to honor President Jair Bolsonaro of Brazil. The announcement comes after the museum faced criticism for hosting the event by an outside organization. 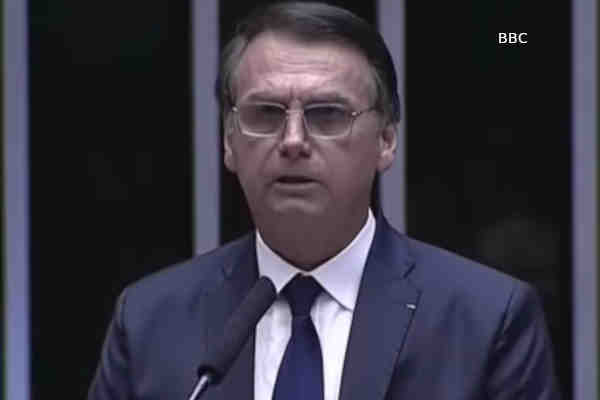 Bolsonaro has proposed environmental deregulation and opening more of the Amazon rain forest to commercial industry. Critics said honoring him at a museum dedicated to nature was hypocritical. GLAAD also called on the museum to reverse course, pointing out Bolsonaro's opposition to LGBT rights. A self-proclaimed “proud” homophobe, Bolsonaro has said that he'd prefer to have a dead son to a gay son.